We are pleased to present NCEA’s Online Giving Campaign for individuals to give back to Catholic Schools. The 2019 Day of Giving is a 24 hour period beginning Tuesday, January 29th at 12pm EST and lasting until Wednesday, January 30th at 12pm EST. 2019 NCEA Many Gifts One Nation; Day of Giving – LINK NOT YET AVAILABLE – PLEASE CHECK BACK ON JANUARY 29TH. Held annually on the First Saturday in February. Held annually on the Last Friday in January. St. Mary’s Academy transforms into an in-door carnival! 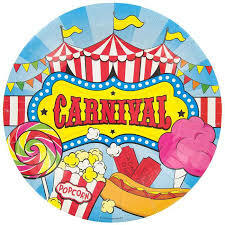 Class rooms host carnival games, while families can enjoy carnival games and bid on family-friendly auction items. Satisfy your sweet tooth with bake sale items, cotton candy and other treats. SCRIP is fundraising while you shop. You’re not spending extra money, and there’s no selling involved. SCRIPs may be purchased for national and local retailers such as Safeway, Fred Meyer, Home Depot, Target, Walgreens, Klindt’s Bookstore, Casa Miradora, etc. 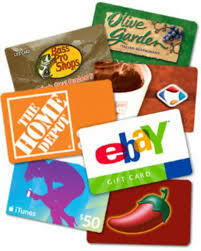 Contact the office or stop by the SCRIP desk at drop off to purchase gift cards. St. Mary’s Academy Annual Jog-A-Thon is a school-wide opportunity to help our children raise funds for their school. Students are asked to collect $150 in pledges and donations, and then walk/run laps around the Ted Walker Memorial Track. Our Jog-a-thon would not be successful without the help of our parent volunteers! Please contact the office to see how you can help our event. Twice a year, the lobby of St. Mary’s Academy transforms into a busy book store! Scholastic’s literacy events generate excitement for reading and revenues for schools. Scholastic provides the books, planning tools and display cases for the events, which are run by volunteer parents, teachers, and school librarians. Our teachers at St. Mary’s Academy maintain classroom Wish Lists made up of items that go over and above our budgeted materials. Can you help make some of these wishes come true? There are many volunteer opportunity for parents and families at St. Mary’s Academy. These opportunities are a great way to meet other parents, teachers, and staff, and to promote partnerships that provide excellent educational opportunities for your children. Parents are encouraged to volunteer for fundraising opportunities such as the Scholastic Book Fair, Cherry-of-a-Ride, Jog-a-thong, Family Carnival, and our annual Super Auction. Parents are encouraged to volunteer in every day school activities, such as as classroom helpers, lunchroom helpers, classroom parties, field trips, and with the OBOB/Passport Club.